Professor Manolis Gavaises and Dr Foivos Koukouvinis have secured €1.17m of an EU grant for the four-year research project, 'Ultrasound Cavitation in Soft Materials', which will train 15 PhD students between 2018 and 2022. Director of the City-based International Institute for Cavitation Research and Thermo-Fluids Research Centre, Professor Manolis Gavaises and Post-doctoral Fellow and Lecturer, Dr Foivos Koukouvinis, will coordinate a four-year research project, 'Ultrasound Cavitation in Soft Materials' supported by the Marie Skłodowska-Curie actions (MSCA) grant funding, valued at €4,211,733. City forms part of a research consortium comprising 16 European and international institutions which successfully applied for the funding, which will train 15 PhDs between 2018 and 2022. City will receive €1.17M of the funding. The pressures and temperatures developing during the interactions of shockwaves with cavitation bubbles and soft matter induce complex phenomena, both at physical and biochemical levels. These have a non-exhaustive range of relevant applications including ultrasound-based therapies, surface cleaning and food processing. Our aim is to explore these processes both in micro and macro-scales using experiments and to develop new computational capabilities for their simulations. 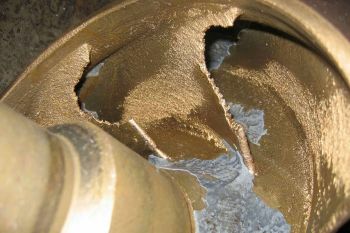 Measurements will include temperature/species forming in collapsing bubbles, identifying chemical reactions and possible tissue interaction, such as protein denaturation and agglomeration; tissue cavitation threshold and its control using nanoparticles, allowing development of new cavitation-mimicking tissue materials extrapolating to actual tissue properties that will be used for in-vitro testing of equipment with minimum collateral damage." "Computations will be based on advanced multi-resolution methods coupling fluid flow, chemical reactions and deforming material mechanics solvers, with physically consistent thermodynamic closure models for the involved materials; pressure wave propagation, bubble nucleation and material damage effects will link microscale phenomena to macroscale." The end-goal of this research and training program is to explore the enormous potential of the new and experimentally validated computational tools which will guide breakthrough innovations and high-impact, high-tech technologies ranging across different sectors.